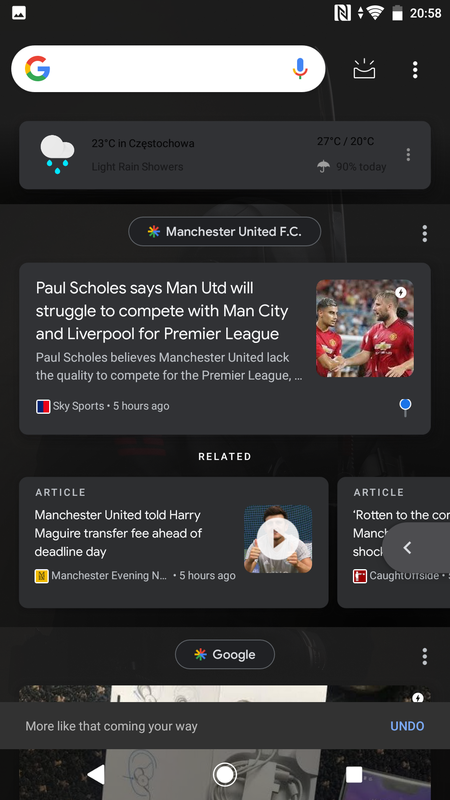 Most social and news aggregation services nowadays offer you an easy way to request seeing more or less of something to tune the content to your liking. When Google News launched, the "More stories like this" and "Less stories like this" options for every article immediately caught my eye because such a setting doesn't exist in Google's other news-like service: the Feed. But it seems that Google is aware of that omission and is already testing a way to implement these granular controls. 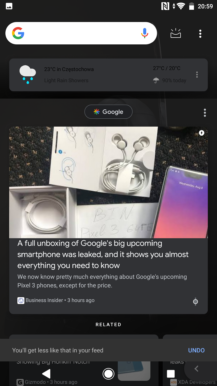 In the new (and very terrible) Google Feed UI that's been rolling to users over the past months, you may start seeing a circle with a vertical line (kind of like an equalizer / tuner) at the bottom right of article cards, across from the website source. Tapping it expands into two options: more and less. After you choose how you'd like to fine-tune your Feed, the dot will reflect that state and you'll see a toast saying "More like that coming your way" or "You'll get less like that in your feed." 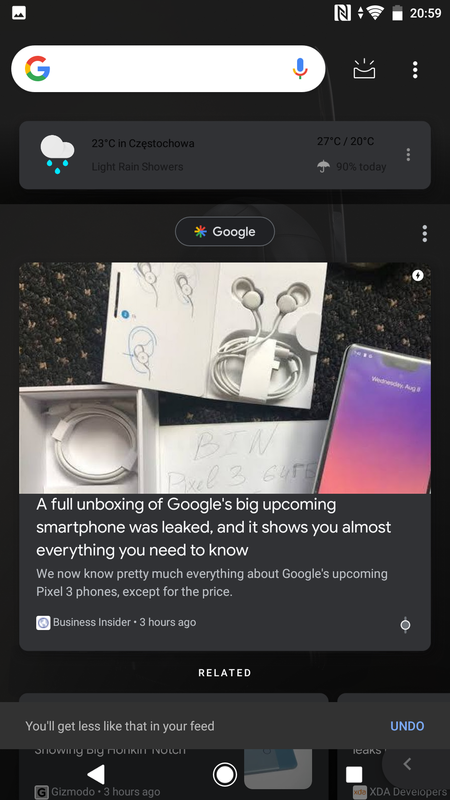 Also note the new fully dark theme. No more white bubbles on a dark background. 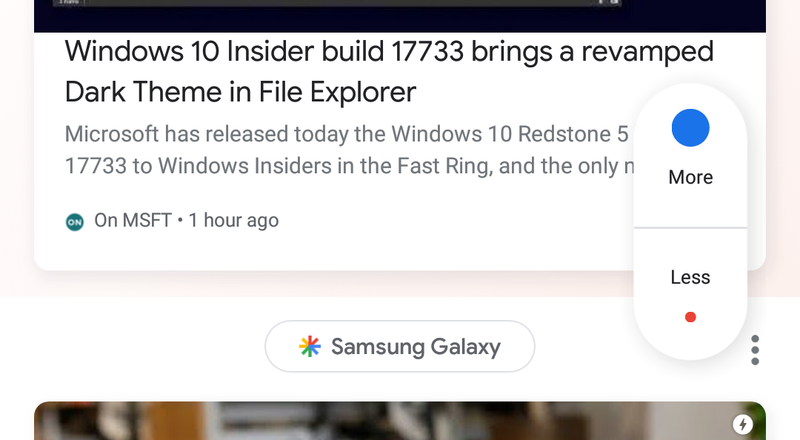 This type of granular control is quite welcome when the Feed is being populated by clickbaity articles that we all know better than to read. 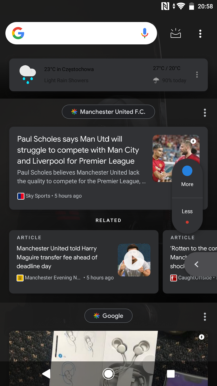 Technically, you should be able to ask Google for more interesting articles you'd like to check and to weed out pointless content, without having to completely block sources one by one. But since this is a server-side test, we'll have to wait until it reaches our devices to see how well it works.